The Philippine Taekwondo Association (PTA) began its search for the brightest young talent in the country at the Meralco/MVP Sports Foundation National Face of the Year Championships. 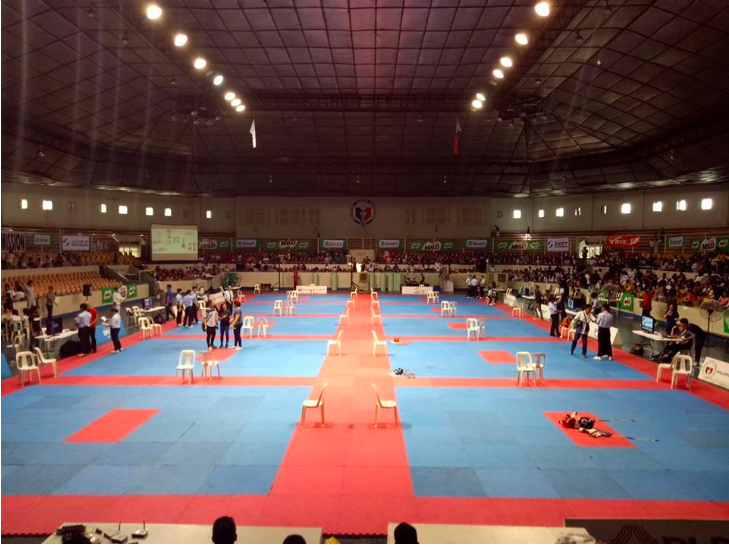 Around 1,500 budding taekwondo players participated in the competition, held at the Ninoy Aquino Stadium in capital city Manila. Eight categories - senior men and women, junior men and women, cadet division men and women and grade school boys and girls - were contested. Action was held in both novice and advance divisions. The event was supported by the Philippine Olympic Committee, the Philippine Sports Commission and Milo, the chocolate malt beverage brand. "This event will highlight the progress of taekwondo in The Philippines and give an opportunity to show and demonstrate their ability in effective techniques and styles," PTA vice-president Sung Chon Hong, also the chairman of the Organising Committee, said prior to the competition. he PTA was established in 1976 to promote the Korean martial art in the country. Kirstie Alora was The Philippines' sole taekwondo representative at the Rio 2016 Olympic Games, competing in the women's over-67 kilograms category. She lost 4-1 to eventual silver medallist María Espinoza of Mexico in the round of 16 before suffering a 7-5 defeat at the hands of Morocco's Wiam Dislam in the repechage. Alora qualified for Rio 2016, where she was her nation's flagbearer during the Closing Ceremony, after winning silver at the Asian Olympic Qualifying Tournament in Pasay in The Philippines.